This time out, Aaron, Ryan, Kyle and Adam gather together to talk about issue 11 of G.I. Joe: A Real American Hero. 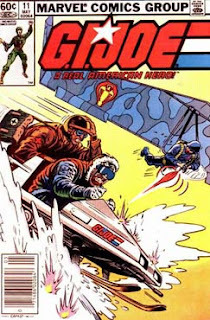 Then we look at the 4th episode of The Revenge of Cobra, "Battle on the Roof of the World". This episode first aired September 13, 1984 and was written by Ron Friedman.